Please welcome today's paranormal guest author Lisa Voisin. Lisa is the author of The Watcher. Lisa: I began writing poems and stories in grade school. It carried on through high school, to the point where I preferred writing over my other homework. Needless to say, my parents were concerned about me and tried to talk me out of this ridiculous notion that I could earn my living as an author. They won out for a little while, then I took up technical writing just to prove I could earn an income from the written word. Though my mom is no longer around to see me follow my dreams, my dad is now one of my biggest supporters. Lisa: I have always loved the paranormal genre. When I was a kid, my favorite books were ghost stori es and Gothic romances. I've also always been interested in what's on the 'other side', and I got my first Tarot deck at sixteen. As someone who now teaches meditation on the side, I've come to know that those psychic gifts, those other worlds we like to categorize as "para"normal is actually part of a greater truth. While the creatures that we read of in this genre might not live and breathe in our world in a literal sense, they represent something in all of us. In the Jungian sense, we know these beings archetypally, as part of our collective consciousness. Lisa: Readers will enjoy The Watcher for a few reasons. First of all, it's a love story that reminds people of the purity of love itself. It's also a story of redemption and forgiveness, and good versus evil--both internally in the self and externally in the world--that touches into the depth of human potential. Lisa: What a great question! And one I have a great deal of difficulty with, because I write from a place of feeling the characters. Seeing them comes second. That being said, I'd have to say the closest I've seen to Michael is a younger Henry Cavill (pre-Superman, for sure), and Mia is a younger Emilia Clarke or possibly Kat Dennings. I also know that new acting talent is discovered every day, and the actors meant to play these characters would appear if a movie were made. 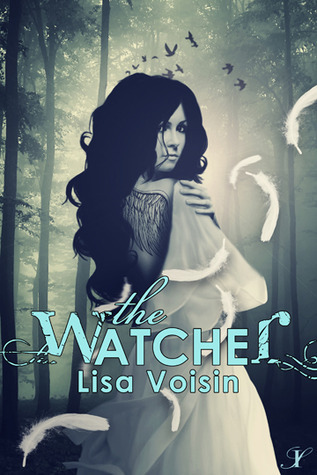 The Watcher by Lisa Voisin. To learn more about Lisa Voisin and her books, please visit her website. Thank you so much for having me on your blog today. I'm so honored to be here. The Watcher is definitely on my TBR list! Great interview Lisa and EJ! Thank you Stephanie! So glad you came to visit! We are soooo talking The Tudors! I loved that show and I loved him in it. Thanks so much for stopping by! It's always great to meet someone else who appreciates both Henry Cavill and Castiel. I think I got really lucky with the cover. The cover artist for Inkspell is great! Oi, that book sounds great! Thanks so much! I'm glad you like the sound of it and my perspective on the paranormal. I find the idea of genre limiting, especially when they trend and then labels come out. When I studied literature, writers used to include these themes and nobody labeled them as "paranormal". What about Hamlet's father's ghost? Or the fallen angels Paradise Lost? Some of my favorite works of literature include the paranormal :) I agree that such great themes are explored in "fantasy" fiction. Perhaps it's why I love the genre so much.